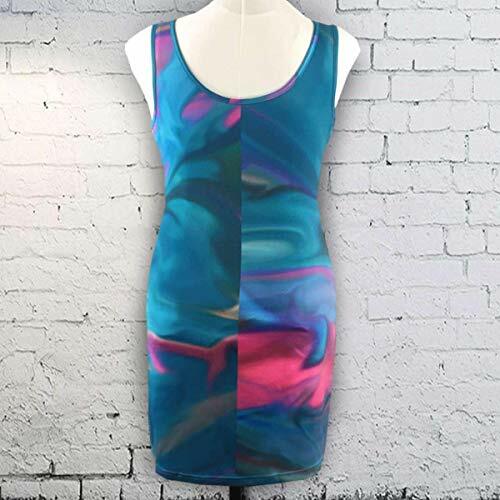 The Blue Ocean Beach Waves Sleeveless Spandex Pencil Dress in Size L, made from our own original fabric design, is an extra luxurious, extra comfort choice in a silky sleeveless spandex mini dress. This particularly soft and silky, super sumptuous printed contouring shift effortlessly creates ultimate style and impact any way you choose to wear it. It's the ideal wardrobe coordinate all year round that adds maximum drama with minimal effort. Easy slip on spandex dress coordinates beautifully with jackets, belts, leggings, and scarves to create a wide variety of outfits and looks. If you have any questions about this product by Steady Threads Studio, contact us by completing and submitting the form below. If you are looking for a specif part number, please include it with your message.